Find out how prenatal multivitamins are changing the perception of maternal healthcare, and meet four mothers who are experiencing their benefits. As an expecting mother’s belly grows during pregnancy, so do her nutritional needs. The phrase “eating for two” has meaning considering the number of nutrients babies rely on in order to grow and develop. But healthy foods and health services are out of reach for millions of mothers worldwide. These deficits often lead to anemia: a common health problem that affects 38% of pregnant women worldwide. Children whose mothers are anemic can be born too small, and too soon, making them susceptible to life-threatening consequences. But recent evidence shows that prenatal multivitamins provide results and hope: use of prenatal multivitamins by anemic mothers resulted in a 29% decrease in infant mortality at six months. The numbers don’t lie: we must provide prenatal multivitamins for mothers and their newborns. Meet four mothers whose babies are benefiting from a healthy start thanks to prenatal multivitamins. Olga’s weathered hands shaped tortillas reflexively, flattening the dough into discs. “We [can] only give them one tortilla, and one egg between three or four of us,” Olga shared, referencing to a typical meal for her children. The lack of food makes Olga’s children susceptible to the effects of malnutrition. It’s not a unique situation. Guatemala, where they call home, has the sixth highest rate of stunting globally; stunting is one indicator of chronic undernutrition. In many impoverished areas, most nutritious crops are sold for income, restricting families to foods that lack nutrients. Civil war and powerful hurricanes have compounded an ongoing problem with food insecurity, limiting families’ access to health care and healthy foods. The suburbs of Kissimmee, Florida are saturated with fast food restaurants that offer sustenance at dollar-menu prices. But they ultimately promote Kissimmee’s status as a food desert. According to the United States Department of Agriculture, approximately 23.5 million Americans live in food deserts—low-income areas defined by the lack or absence of large grocery stores and supermarkets that sell fresh produce and healthy foods. Instead, fast food restaurants and convenience stores provide calorie-rich, but nutrient-poor foods at affordable prices. Despite this, Michaela, a 26-year-old mother, strives to promote healthy eating habits in her family. 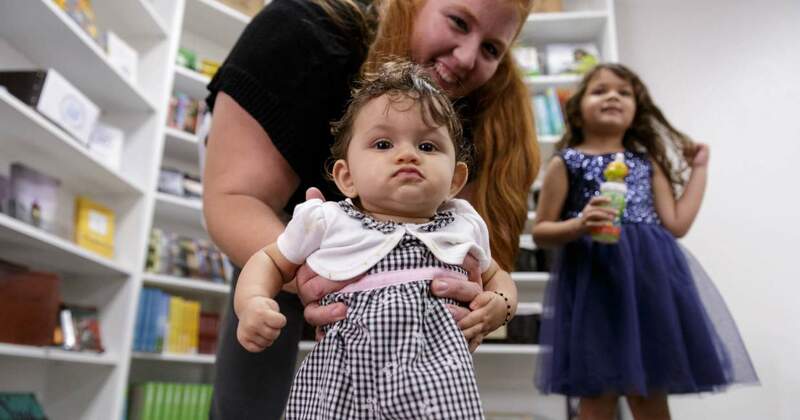 “Starting healthy and teaching your kids from a young age really helps them into adulthood,” she said. But with limited income, when families are faced to choose between buying nutritious foods or paying the electric bill, most families prioritize the latter. For that reason alone, access to Vitamin Angels’ prenatal multivitamins from our field partner in Lakeland, Florida is invaluable. Motherhood is a familiar friend to Lidia, a thirty-five-year-old mother of four. But not every aspect of the experience is easy: as we learned from the local midwife, many women in the community used to restrict their eating while pregnant due to food deficits in the area. The lack of calories and nutrients dramatically affected Lidia’s first two pregnancies, especially when compared to the latter two. “There’s a big difference compared to now,” Lidia said. To ensure that other mothers have the same opportunity, Lidia is vocal about the benefits of prenatal multivitamins. 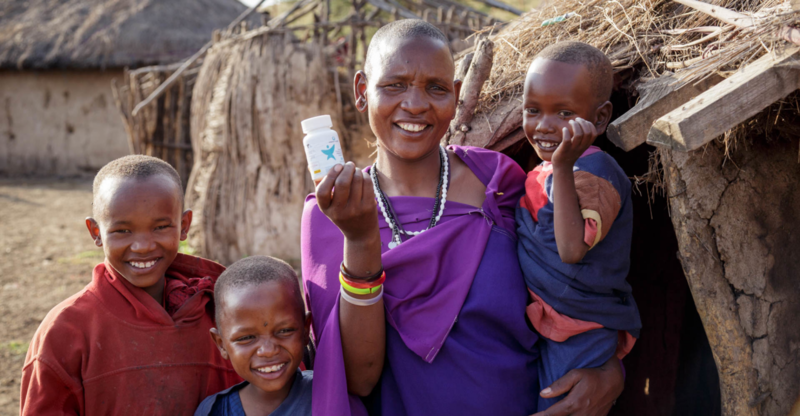 “Some said, ‘We didn’t receive this medicine, were they good?’ I said they were good,” Lidia said. Sundara ushered us into her home with a bright smile, draped in a shawl the hue of bubblegum. Residual dirt on the peach- and mint-colored walls hinted at the home’s past, but failed to obscure its vibrancy. It was an allegory of sorts for the mother of two. Sundara shared with another smile that her three-month-old son, Vansh, just started rolling over and is trying to crawl. But as we also learned, Sundara had lost two babies before her pregnancy with Vansh. Fortunately, Vansh’s birth gave her a reason to smile once again; Sundara told us her son entered the world at a hearty weight of nearly eight pounds. His health then and now is due in part, arguably, to cultural norms: we learned that there is an innate understanding of the increased need for new and expecting mothers to eat more calorie- and nutrient-rich foods. 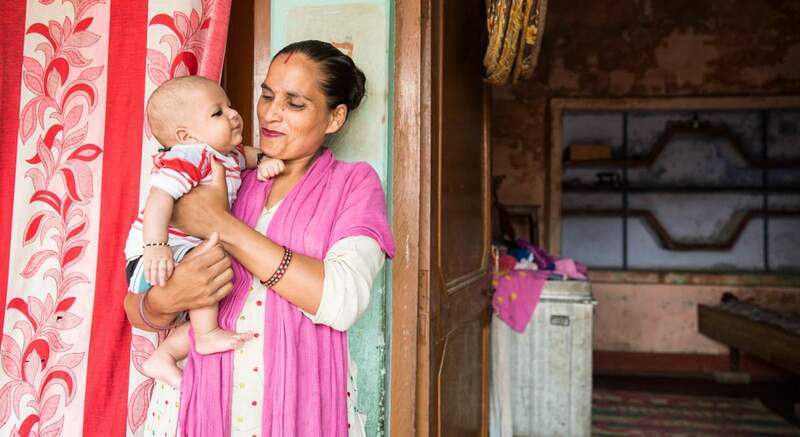 But Sundara’s pregnancy with Vansh differed in one special way: she carried him while taking prenatal multivitamins for the first time. Vansh’s healthy growth and development gives Sundara hope for what’s to come, despite the challenges and sorrow of her past. If his first few months of life are any indication, his future is already as bright as the walls that welcomed us into his home. Even the strongest mothers need help sometimes, especially when their children’s well-being is at stake. That’s why our goal is to bridge the health gaps they face, and to end newborn mortality due to vitamin deficiencies by 2030. It’s a big goal in support of safe pregnancies and healthy babies, but one that we believe is possible. Donate now and help stop malnutrition from the start.